The French space agency is celebrating its 50th anniversary in pictures, starting with a photo exhibition and the issue of a special stamp, all between 26 September and 15 October. 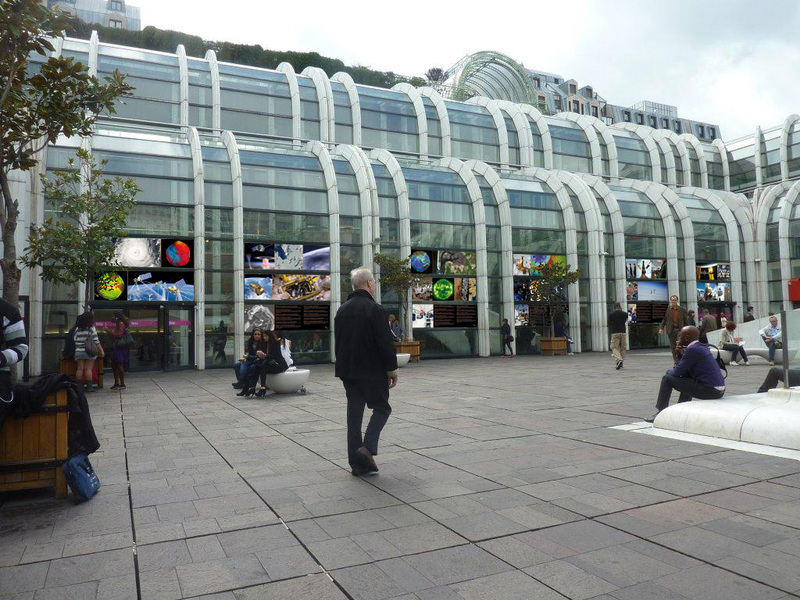 “Space for Earth” exhibition at the Forum des Halles, Paris, from 26 September to 15 October. Credits: CNES. As a prelude to the headline exhibition Au cœur de l’espace (“At the heart of space”) in December at the Musée des Arts et Métiers in Paris, CNES is celebrating its 50th anniversary with a photo exhibition entitled “Space for Earth” highlighting the state of the art in the space industry in France. The exhibition will run from 26 September to 15 October at the Forum des Halles, where visitors will be able to view our planet, our solar system and the Universe in a new light, and see how innovation is serving launch vehicles, satellites and space experiments of all sorts. Because “space is both the stuff of dreams and a source of real-world benefits for society,” in the words of CNES President Yannick d’Escatha. 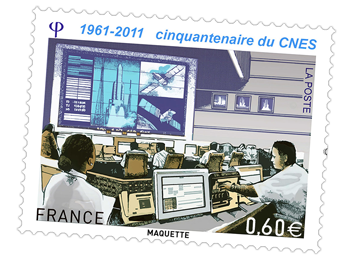 Special CNES 50th anniversary stamp. Credits: La Poste. Meanwhile, stamp collectors are eagerly awaiting the first-day cover of a special stamp to mark CNES’s 50th anniversary, out on 12 October. A temporary post office will be open at CNES headquarters to postmark first-day covers from 10.00 a.m. to 12.00 noon in Place Maurice Quentin, Paris. The designers of the stamp and the cover artwork will also be meeting the public throughout the morning, while CNES specialists and an astronaut will be sharing their passion for space in the afternoon.